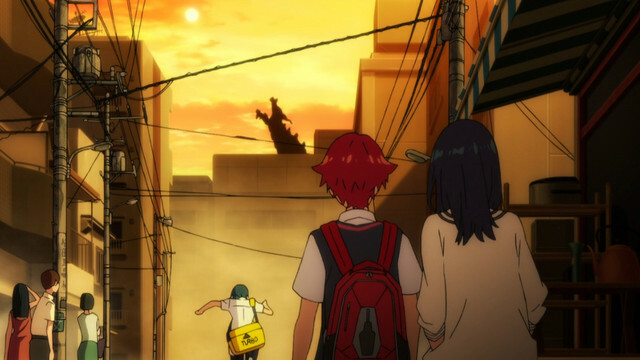 Today let's explore how this season's SSSS.Gridman brings its evocative world to life! 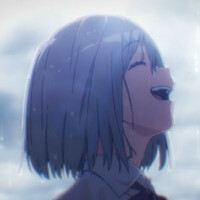 There’s just something about the world of SSSS.Gridman. 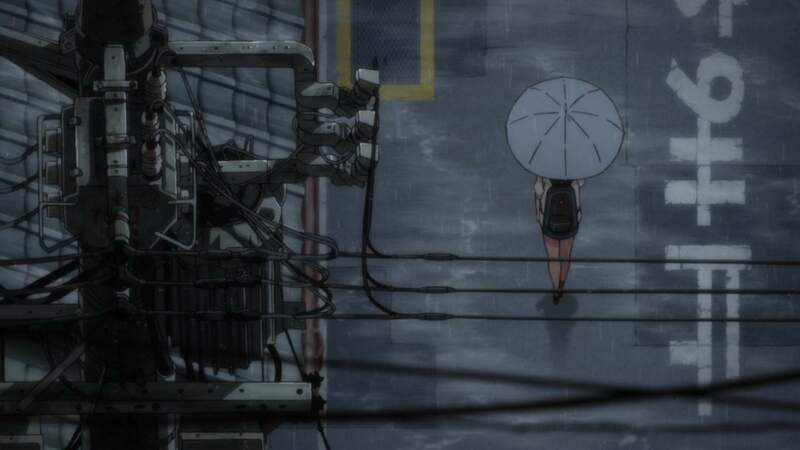 Between its encroaching powerlines, its vast grey skies, and its shadowed school halls, there is a sense of solemnity and quiet alienation to this place that makes all of its fantastical drama feel strangely real. 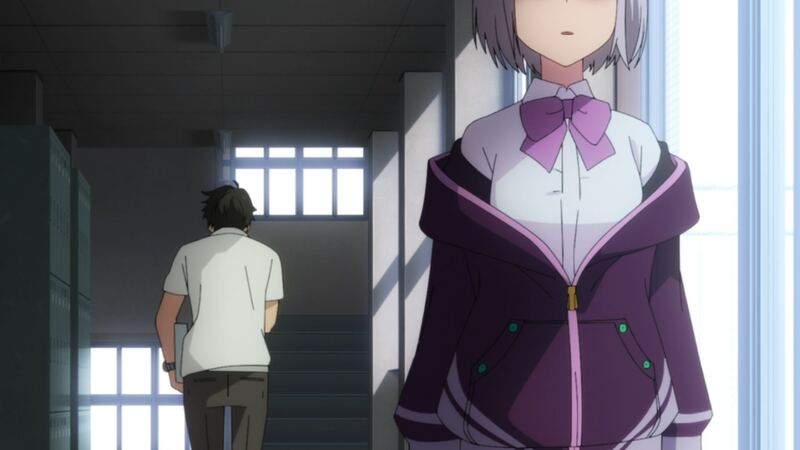 Though the show’s episodes tend to end on bombastic battles with fancifully-designed monsters, they begin in cold and silence, creating a consistent tone of anticipation and malaise that seems utterly true to the adolescent experience. 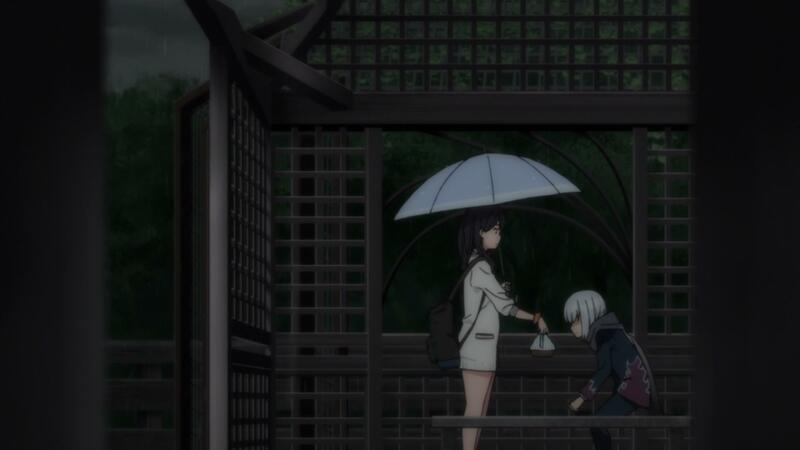 It's always raining here, or has just finished raining, or is just about to start. 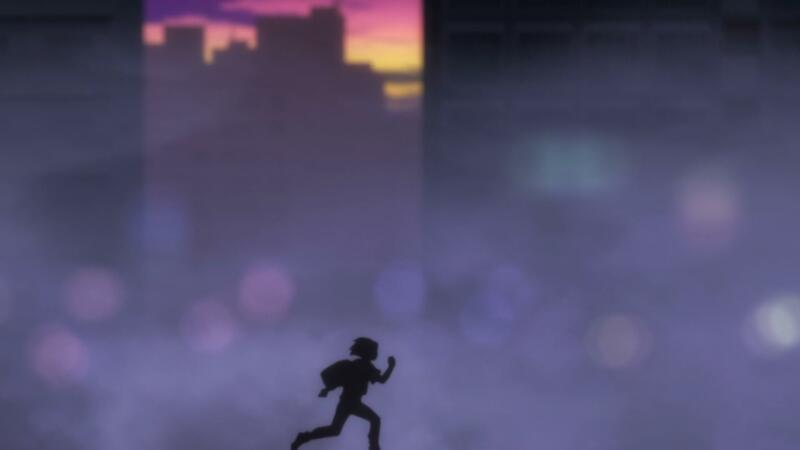 Its heroes trudge through grey streets and return to stifling homes, simultaneously impatient for future days and fearful of whatever those days may bring. 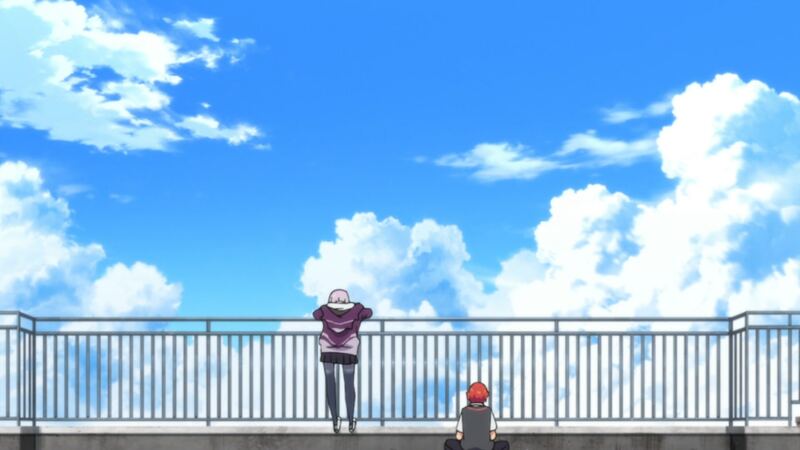 Gridman isn’t given weighty stakes through the actual danger of its battles; its sense of consequence emanates from its whole world, a world of silence and isolation and forever waiting for something to happen. 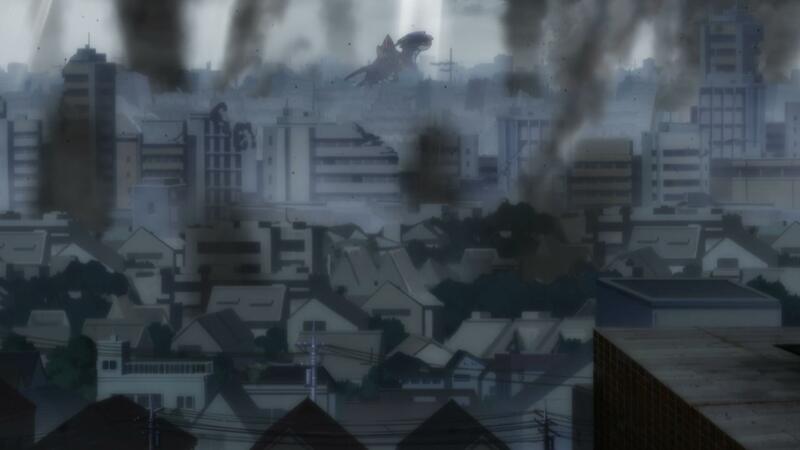 That sense of alienation and not-quite-rightness comes through most clearly in the first episode, when our protagonist Yuta is alone in seeing the kaiju towering across his city. 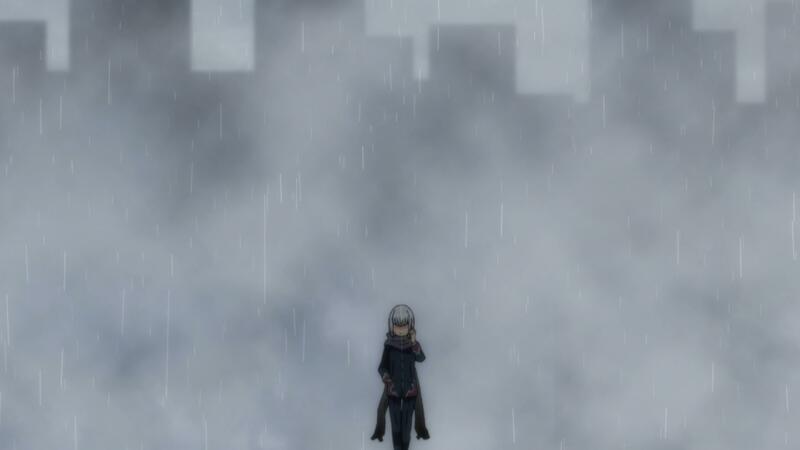 The consistent fog echoes the confusion he himself feels, and emphasizes how his amnesia makes this whole world feel unfamiliar and anonymous. 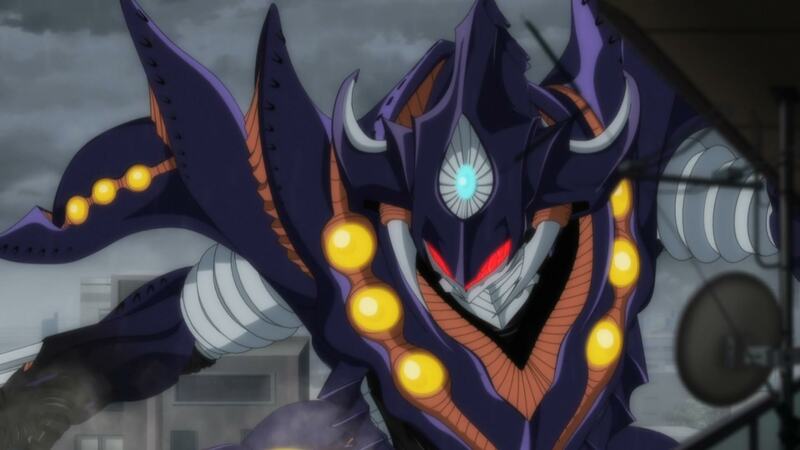 Gridman’s most prominent color is the morose grey-blue of smoke or steel, a color whose lack of vibrancy and applicability to both weather patterns and physical monuments makes it the ideal vector for the show’s weary tone. 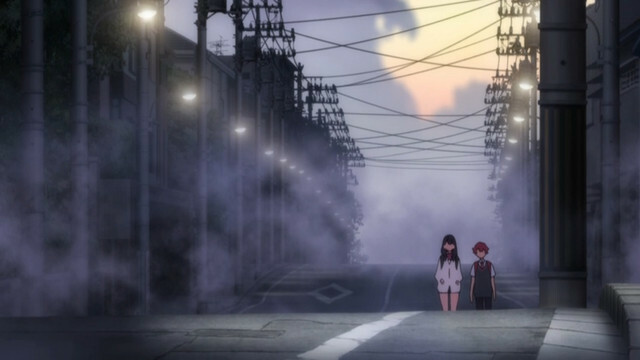 Even though the show is quite beautiful, it intentionally applies its careful art direction to scenes full of repeated shapes and limited colors, visually emphasizing the mundanity of Yuta and Rikka’s world. 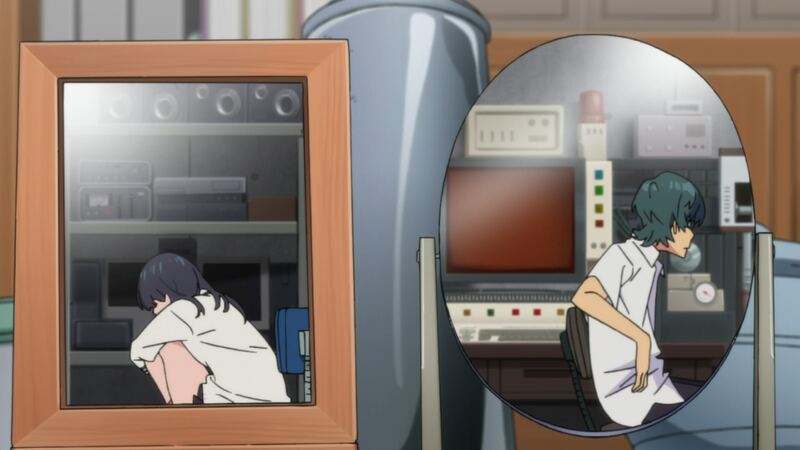 In the interior shots, Gridman’s world comes alive through intensely detailed design work, once again finding a kind of personality in carefully depicting domestic squalor. 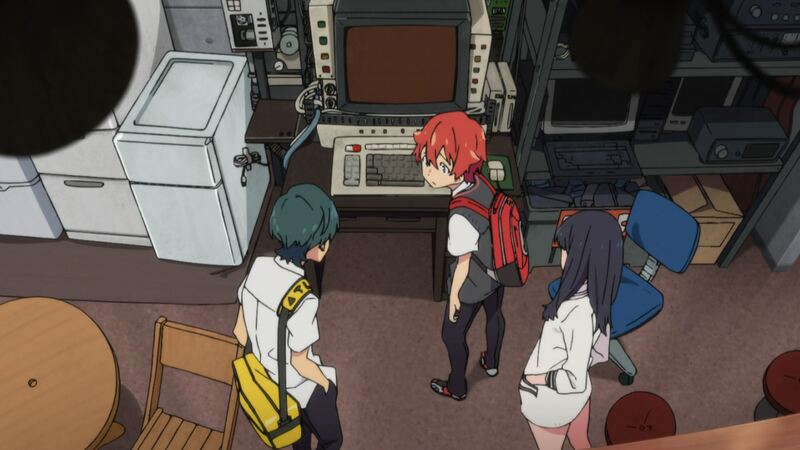 Gridman is unique in that many of its interior background objects were actually drawn by the same animators as the characters themselves, resulting in a clear sense of cohesion between character and setting. 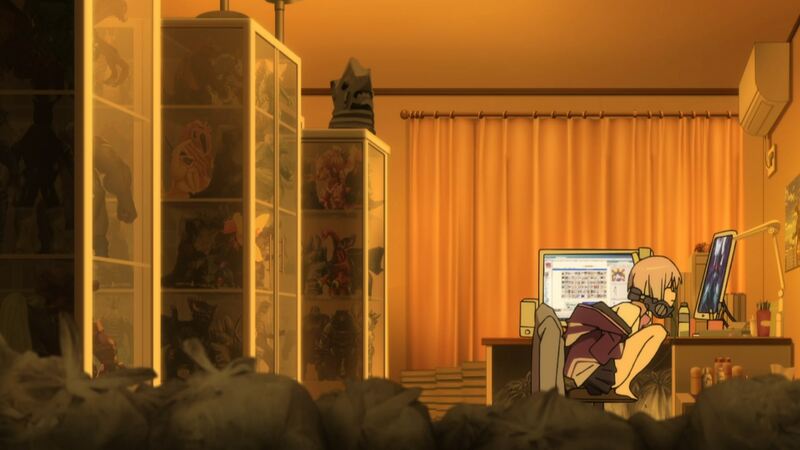 While the show’s external shots revel in scale, its interior scenes obsess over detail, creating the sensation of houses and apartments that are actually, actively lived in. 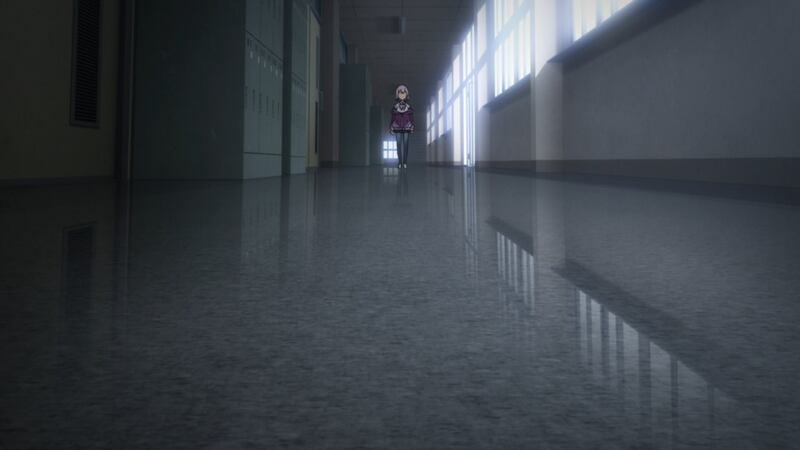 The intimacy of Gridman’s interiors can often verge on claustrophobia, something that echoes both Rikka’s seemingly infinite supplies of boredom, as well as Akane’s genuinely threatening presence. 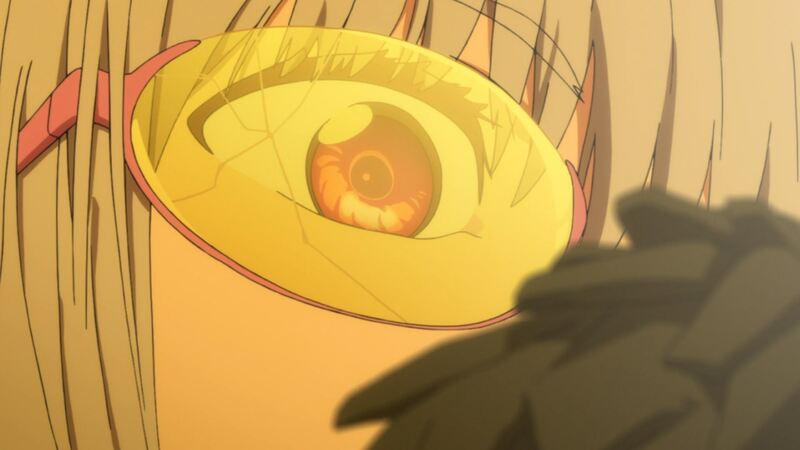 Shots that either avoid the eyes altogether or transform them into an inhuman mask give Akane’s first major sequence a real sense of menace, with the minor injury of a teacher bumping into her treated with all the visual solemnity of a murder scene. 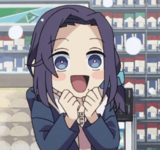 In her own home, Akane is possessive and inescapable, towering over her plastic models as if they were as small to her as her actual classmates. 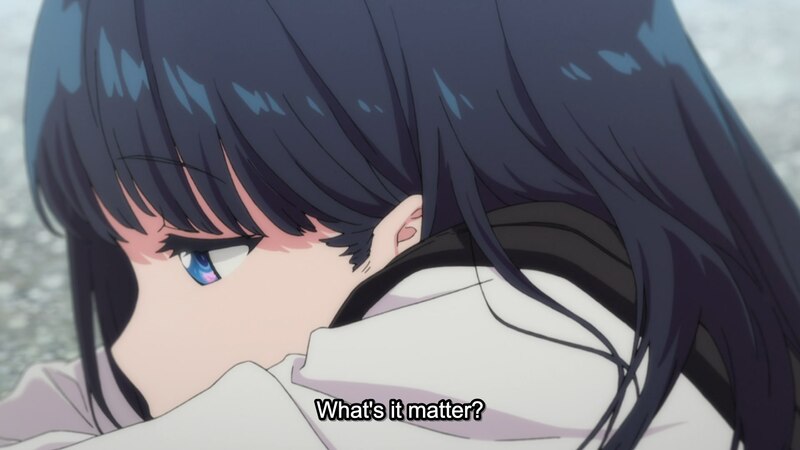 And while Rikka may share a closer bond with her classmates, Gridman is still more than capable of visually conveying the cracks in their own relationships, and the ways our unhappy feelings and young egos can easily divide us. 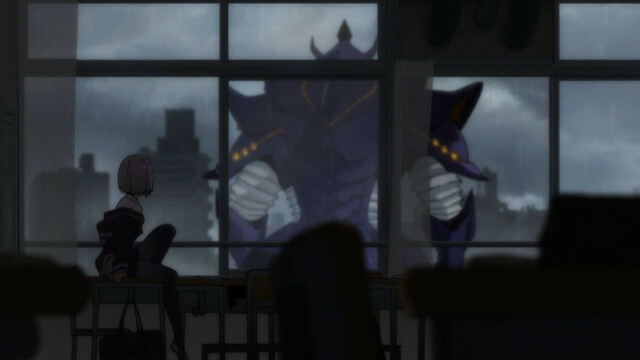 When the fireworks finally begin, Gridman’s poignant layouts share space with tokusatsu theatrics, imbuing larger-than-life action with a sense of visceral consequence. 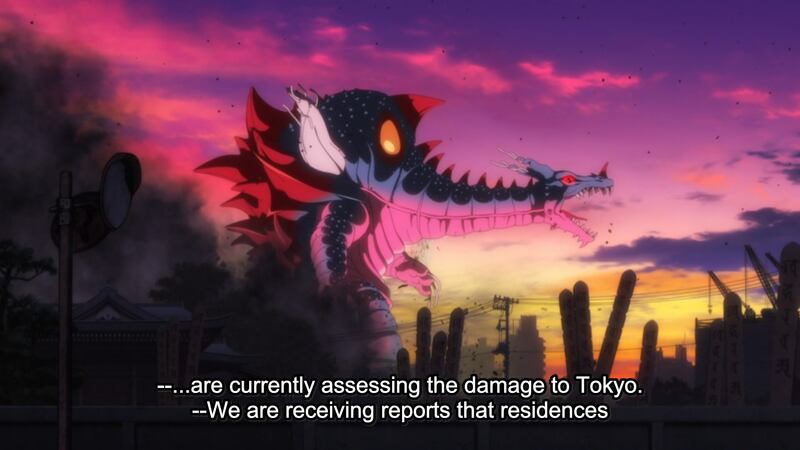 Roaring kaiju heads rise above towers and phone lines, as if they were a physical manifestation of the city’s impersonal soul. Shots contrasting monstrous bodies against mechanical city details emphasize the frailty of this world, while shuddering cars and crumbling debris echo the language of any real-world disaster. 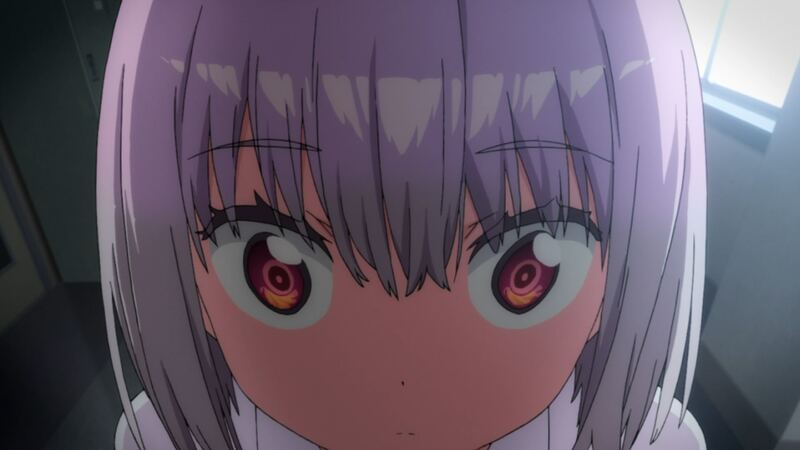 SSSS.Gridman is beautiful in its alienation, beautiful in its intimacy, and beautiful in its violence. 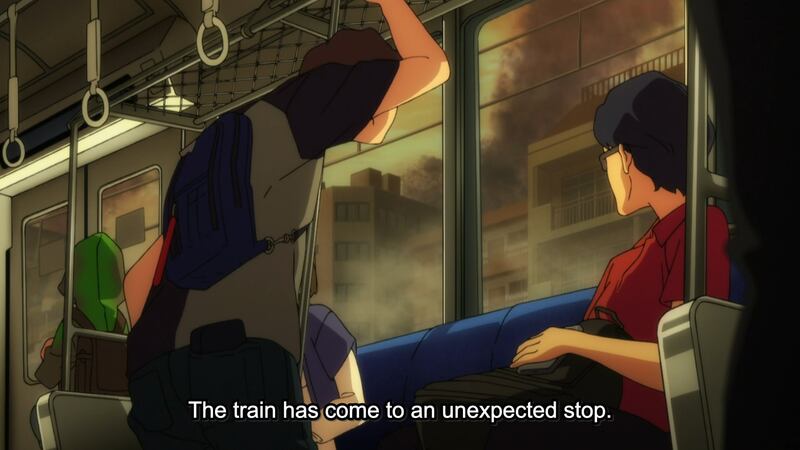 Through its cold cityscapes and carefully drawn rooms, it brings the unhappy experience of adolescent malaise to life, one cacophonous kaiju roar at a time.